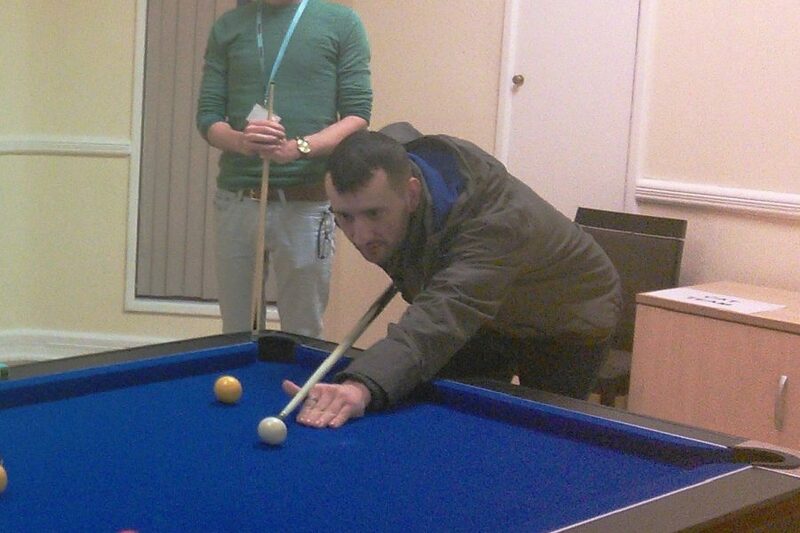 Our residents at YMCA Surbiton have been enjoying a newly refurbished activities lounge with a pool table, table and chairs, sofa, display boards, a teaching board and big screen TV, thanks to a fantastic £2,500 donation from St John’s Church in Hampton. It also got a fresh lick of paint, brightening it up in blue and yellow. The activities lounge has become the central hub for activities, courses and projects run by the onsite Community Activities Team (CAT team). Residents’ forums are held once a month where residents discuss issues about housing and other issues with our Resident Liaison Worker. The CAT team run activities and workshops in the new lounge from 10.30am to 4.30pm daily. Residents are free to play pool, watch TV and relax in there from 4.30pm onwards throughout the evening and weekends. We also have personal development workshops which are delivered weekly with a different theme each week from 12.30pm to 2.30pm. The workshops consist of small groups, up to 8-9 people and cover a wide range of topics. The topics range from social skills, communication, stress and anger, confidence to using your voice and are led by our Employment,Training and Skills Worker. Life skills sessions are also provided such as budgeting, how to bid on the housing register, benefit advice, housing options, independent living skills, cooking and nutrition and other beneficial advice and workshops. There is also a space for artwork to be displayed and there are some permanent pictures paid for by a family of a resident who had recently passed away. Creative sessions also take place here, including arts and crafts, creative writing and music jams.